HOBOKEN, New Jersey (WABC) -- Police arrested a suspect in the deadly hit-and-run that killed 21-year-old Zackhary Simmons on June 25 in Hoboken. Fifty-year-old Mark Nicholas, of Brooklyn, was arrested by the NYPD during a traffic stop early Friday morning. Days he was killed, Simmons, of Ramsey, N.J., attended the NBA draft with his cousin Ben -- who was the first round pick by the Philadelphia 76ers. 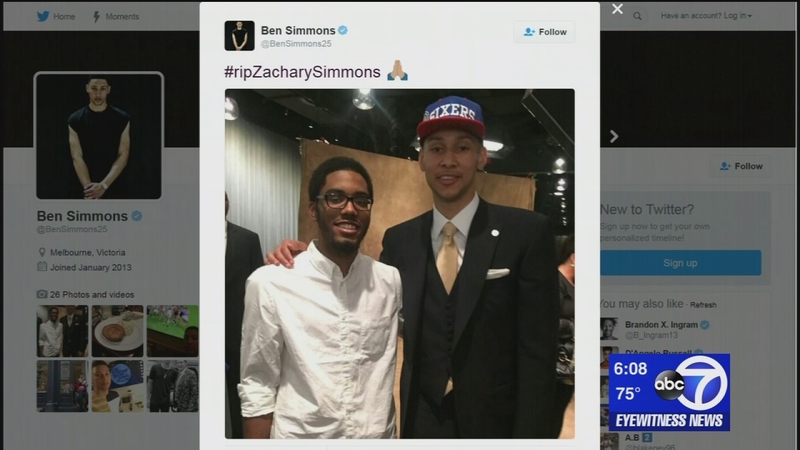 The night of his cousin's death, Ben Simmons tweeted: "I'm glad I could share this moment in my life with you. Rest in peace Cuzzo. Much love Zachary Simmons #rip"